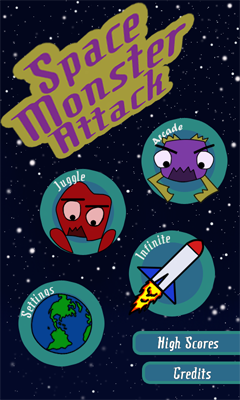 Space Monsters Attack is a simple Space Invaders meets Whack-A-Mole game. Monsters come from the top of the screen and try and reach earth at the bottom. You must squish the monsters with you fingers to defeat them. Defend Earth in 3 different game modes Arcade, Infinte, and Bounce.